A rare telephone to find in the this condition. Far harder to find than the later 1/232 with drawer. This is a beautiful early GPO telephone. 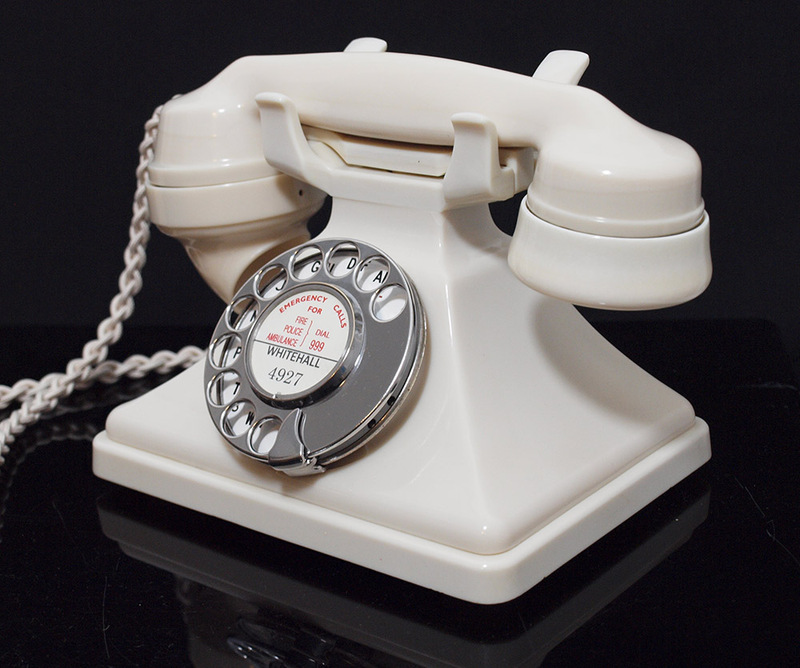 This telephone has been totally stripped down and rebuilt after cleaning and polishing each part. It has been set up using a special line simulator and tested as working perfectly to both dial out and receive on my own BT land line. As you can see it is very elegant with a wonderful delicate design. 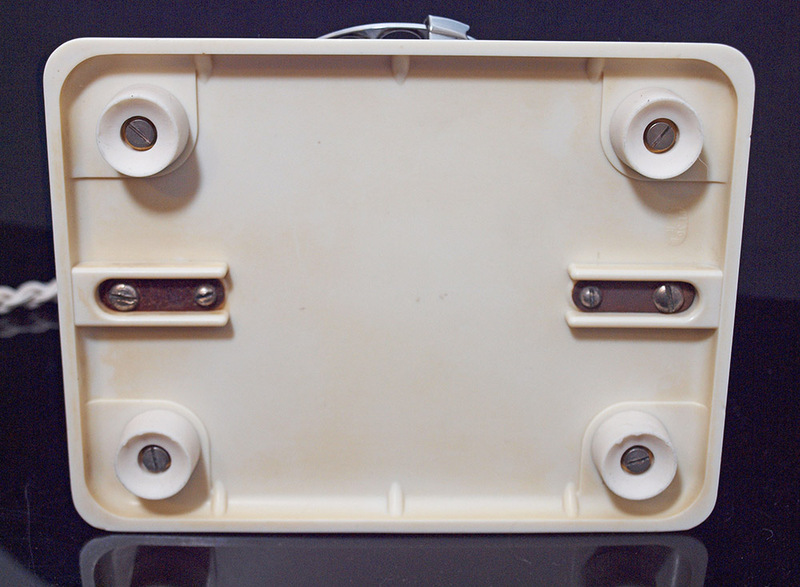 This is made from a thermosetting material very similar to Bakelite. It is the genuine article and they rarely survive in this condition. The material this is made from usually stains an cracks over the years and if dropped will shatter and so needs to go to a good home where it will be loved and looked after. It is quite strong and can be used perfectly normally but best not bought if you have children that may use it or abuse it. This one has a wonderful colour match with next to no stress cracking etc. 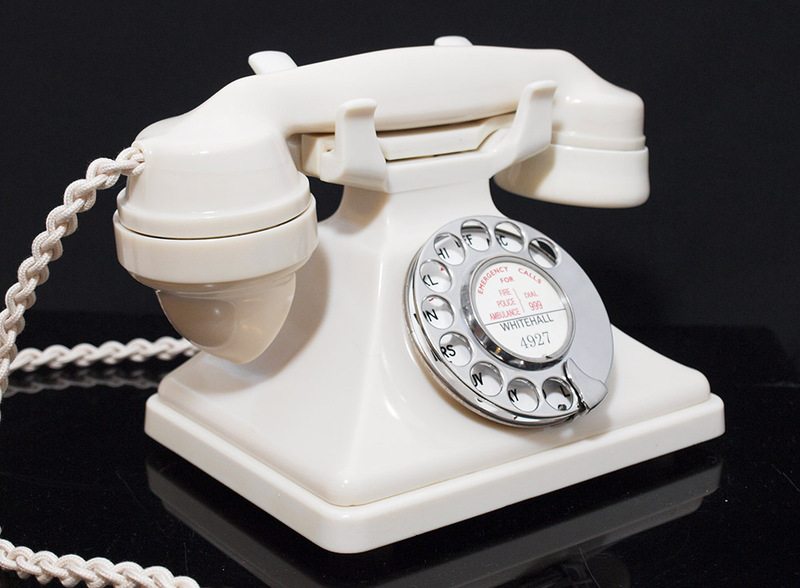 The ear piece is a slightly lighter colour and so may have been changed with a similar period and material but these telephones mellow over the years and so will change colour differently over their 80 years. 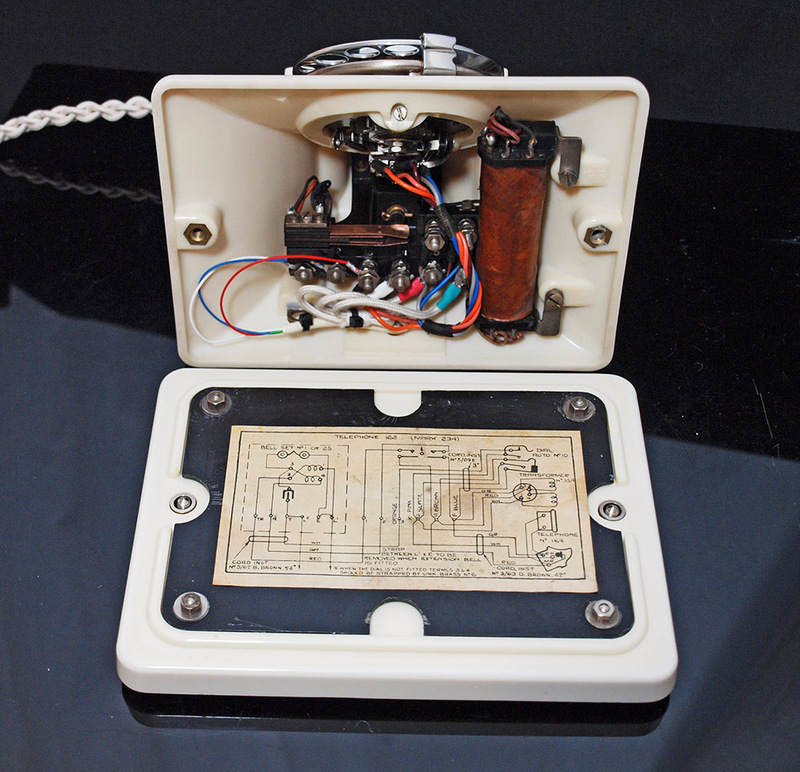 I have fitted it with a 1950s 232 internals to allow it to work perfectly. It has an original GPO alpha numeric enamel dial face. Note the red on the numbers has gone quite dark from 7 to 0 but looks wonderful. 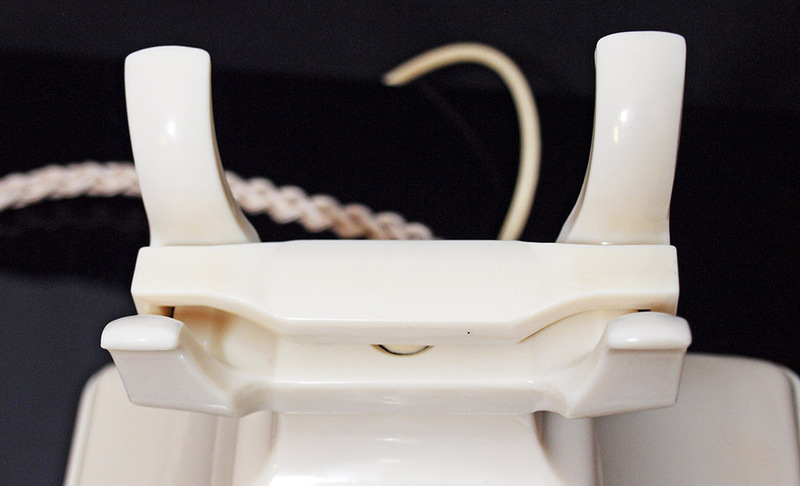 I have fitted a best quality hand plaited all British manufactured braided handset cord an electronic microphone and a GPO specification round plastic line in cord with a UK telephone plug socket. The receiver is original and so will produce a slightly more tiny sound but can change to a 1950s one if preferred. This model was designed to work in conjunction with a No 25 bell set and so has no internal bell. Because it has the later internals it no longer needs this to operate properly as this would have had the speech coils now incorporated in the telephone. This telephone has no internal bell but I can fit a small bell inside at no extra charge. 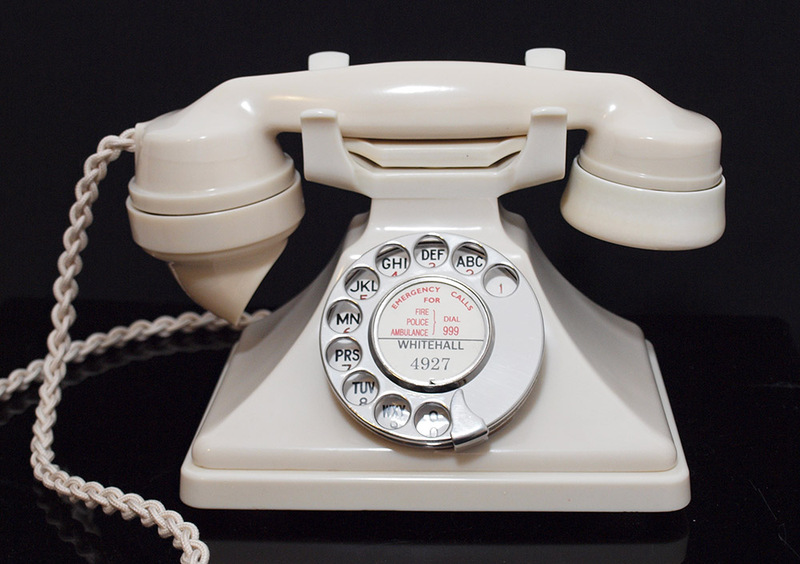 The sound will not be al loud as an external bell box but is ideal in a bedroom or in conjunction with other telephones around the house. Please add to the notes on check out to have a small fitted. A dial label can be made with your information at no extra charge.